Metal clay was invented in Japan in the 1990’s and soon took off as a very approachable material for anyone to make into solid metal jewellery or other items. Silver and gold clay were the first to be launched and once they could be torch fired, they really became popular with home jewellery makers. The tools required to create jewellery or sculpture with metal clay are very simple. Most people who do any sort of craft have these tools already. 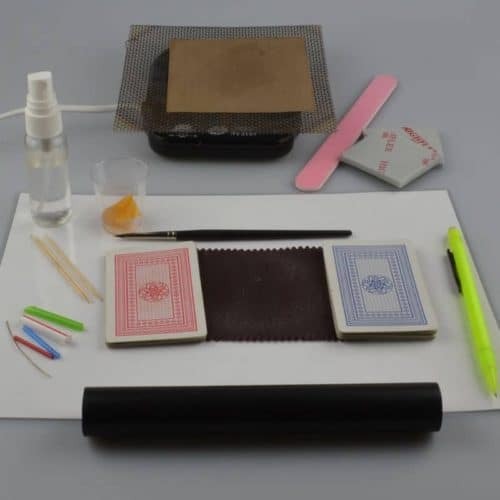 It’s quick and easy to set up your workstation, you can pack it into a small box so it’s perfect if you are working at home in your kitchen. 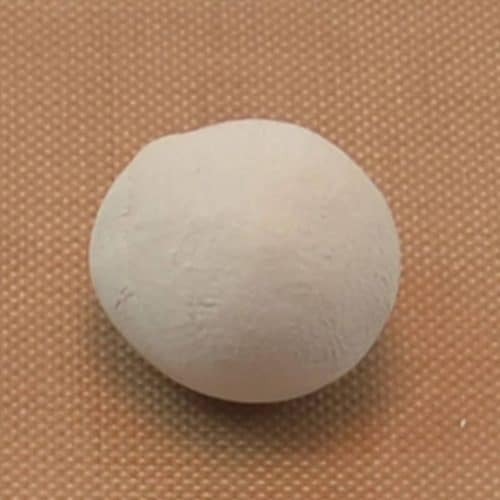 Silver metal clay has three ingredients. Fine silver particles which are reclaimed from various other processes – so it’s a completely recycled product. An organic binder holds the silver particles together and water makes it soft and malleable. That’s it! Once the jewellery piece is dry and finished, it’s ready to be fired. It can be fired in a kiln but the fine silver varieties can also be fired with a simple butane torch. That’s right, the type you use for Crème brûlée! 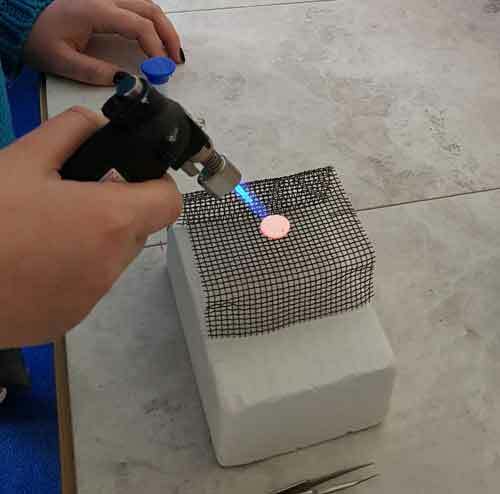 On our beginner level and taster classes, Julia teaches you how to fire your jewellery with a butane torch so you can go home with the confidence to make your own pieces from start to finish straight away. People are often sceptical about whether metal clay actually results in real silver, gold etc. It just seems too good to be true – like alchemy. 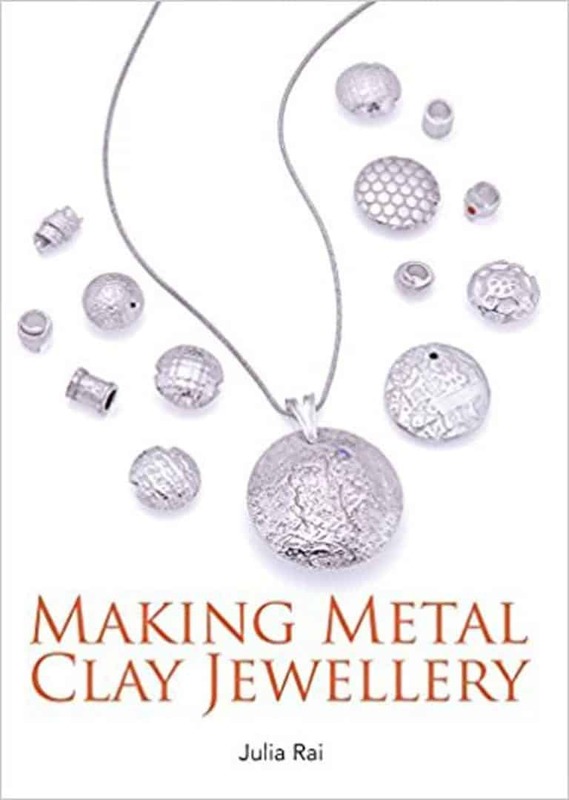 There are many types of metal clay available including Sterling silver clay, 22ct gold clay, bronze, copper, steel and iron clay – all real metal. On the beginner level and taster classes, you will learn to work with fine silver clay. This results in solid silver jewellery that is hallmark quality. Our principle tutor Julia Rai has been a passionate advocate of metal clay for over 15 years and has taught hundreds of people how to work with this magical material. She’s even written a book about working with metal clay. Known world-wide in the metal clay community, she is also approachable and supportive of both new comers and experienced metal clay students. She is one of the first people in the world to achieve level 3 and 4 of the Metal Clay Masters Registry, a prestigious credential in metal clay mastery. 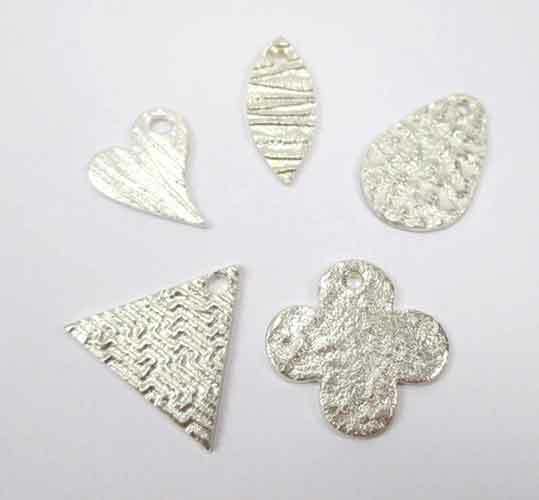 Don’t take our word for it though, see what some of our students say about taking a metal clay taster class with Julia. "I and a friend attended an introductory metal clay jewellery class on Saturday 17th November with Julia Rai. It was awesome!! Julia lead us expertly through the making process so that we produced some very pleasing pieces. Julia is one very professional tutor. To quote my children, ‘I am super excited’. I’m already planning the next stage. Thank you Julia." 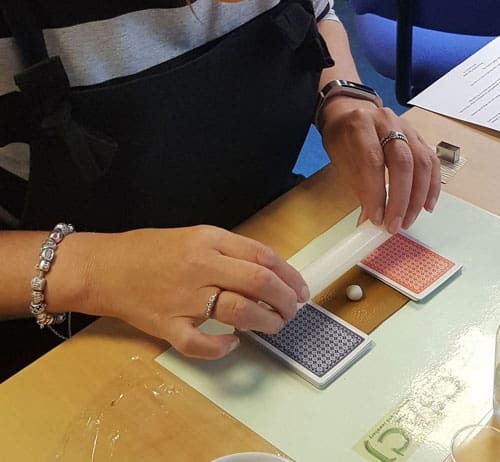 "A brilliant taster session that de-mystified silver clay. I now understand how to use the material and have many ideas as to how I could use silver clay in my work. I hope to investigate using moulds with silver clay and would like to explore silver clay in paste form and to explore the possibilities this would provide. Thank you so much for a fantastic day! For making us feel so welcome and sharing your knowledge." "It was great for extending my knowledge of silver work, providing me with a new skill set and for learning to use a new medium. Julia was always a reassuring presence, filled with fixes for problems or ideas/techniques to try. We’ll be investigating moulding and creating items for family gifts into the future or to add to existing project ideas to save time. Had a great time – an arty, creative date day with my wife. Thank you for this." "I loved being able to make a variety of items and learn a range of ways to polish my charms. I liked the fact I could ask any question without feeling silly. Can’t wait to get home and start creating! I am hoping to continue to make charms into earrings. I would like to learn to add colour to my creations. Julia is a fantastic teacher who makes it easy to create some wonderful items to take home."